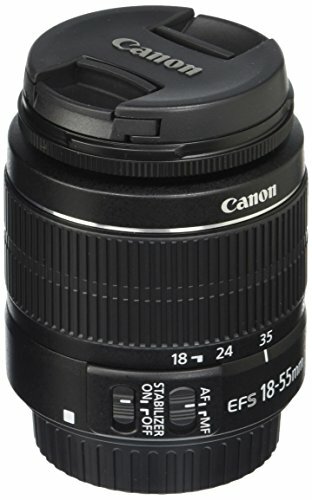 The Canon 2042B002 EF 18-55mm f/3.5-5.6 IS II Zoom Lens is a standard zoom lens designed with Canon's Optical Image Stabilizer technology while retaining the compactness and lightness of previous models. Its stabilization allows sharp hand-held shots at shutter speeds up to four stops slower than otherwise possible. It consists of 11 elements in 9 groups and uses an aspherical lens element to correct aberration for excellent image quality throughout the zoom range and a circular aperture for exquisite rendering of out-of-focus backgrounds. Without a lot of size, weight or cost, this lens expands picture-taking possibilities any time slow shutter speeds are needed.